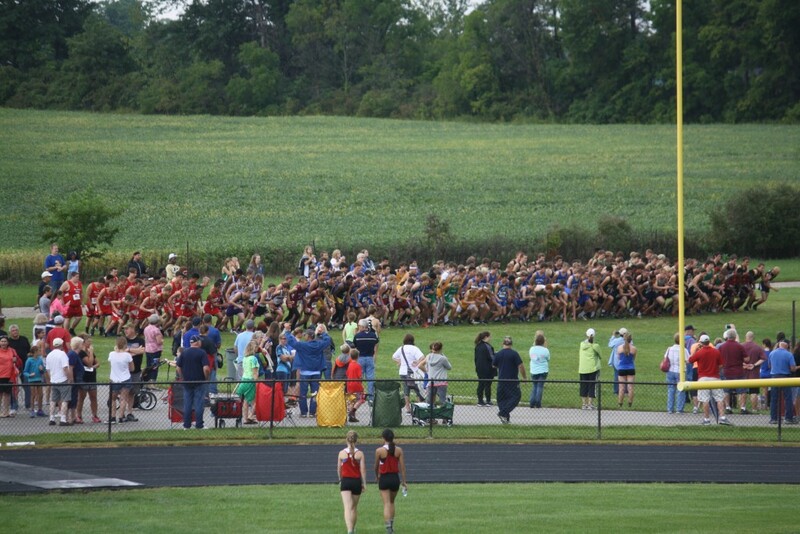 The Blackford Cross Country Invitational was held yesterday at BHS. 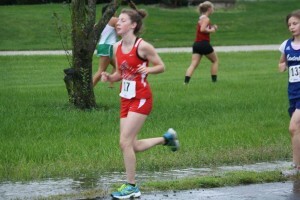 The event was delayed for nearly an hour as teams who sent scurrying to the buses during heavy rain and lightning just prior to the 9:30am intended start. 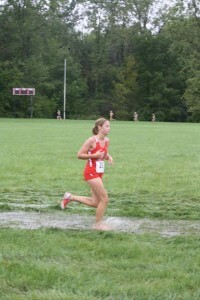 After the storm went through runners endured a very soaked course with water 3-4″ deep in many spots. 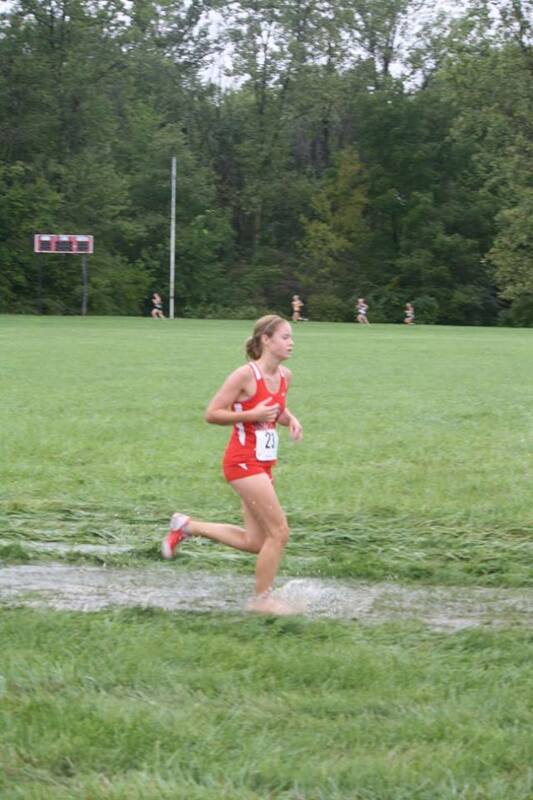 Needless to say that it made for a lot of wet feet for runners, coaches, and fans alike with at least one runner losing a shoe to mud along the way! The Lady Bruins ran to a 4th place finish of 12 teams. The Bruins finished behind Oak Hill, Huntington North, and Yorktown. Falynne Reed lead the way with a 10th place finish. 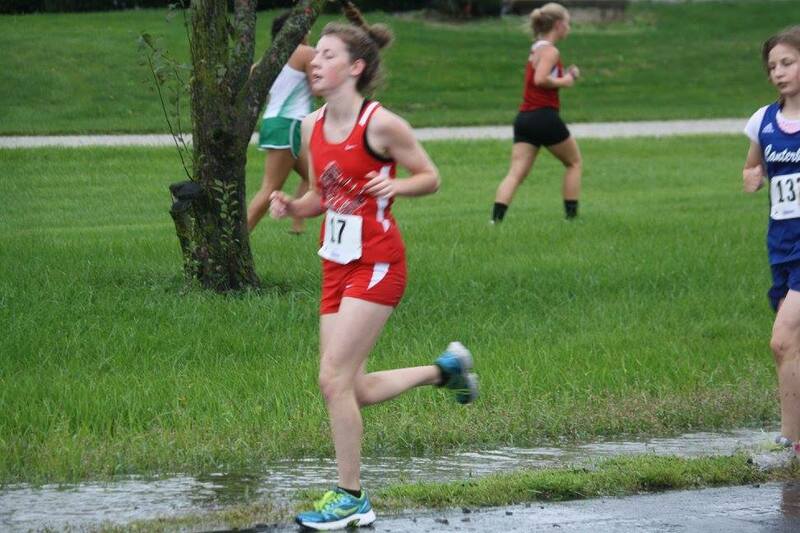 Also running for the Bruins were Jamie Twibell (18th), Natalie Thurman (34th), Bry Futrell (36th), and Jordan Charnley (73rd). There were 128 runners. 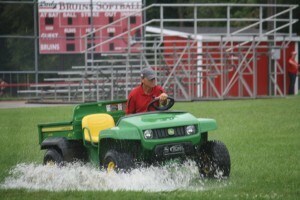 Despite the conditions, Coach Gleckler was very happy with the girls efforts and results. The girl’s record against all opponents is currently 26-10. The boy’s finished 16th of 19 teams. Oak Hill won the boy’s race as well. 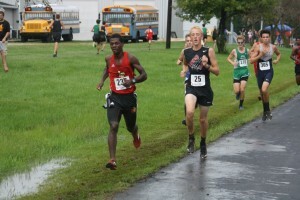 Andrew Thurman finished 14th of 184 boys to lead the Bruins. 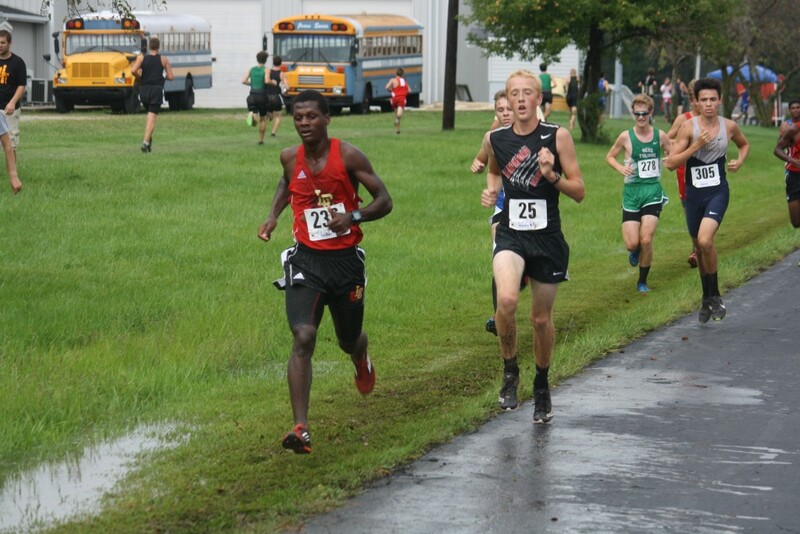 Also running were Jacob Clamme (120th), Cameron Rinker (121st), Evan Dubois (149th), and Logan Dienberg (158th). Coach Gleckler appreciated the efforts of the boys as they continue to improve. The boy’s record against all opponents is now 4-32. The Bruins head to Muncie Central on Tuesday for a 5pm invite. It is the only midweek event for the Bruins during the season.